Do you have a burning desire to learn the art of Individual Eyelash Extensions but don’t have the time? Do you already have a qualification in lash extensions or lash lift but would like a refresher? Want to pamper the ones you love by learning a new skill? Learn everything you need on the move on your mobile phone ANYWHERE ANYTIME! 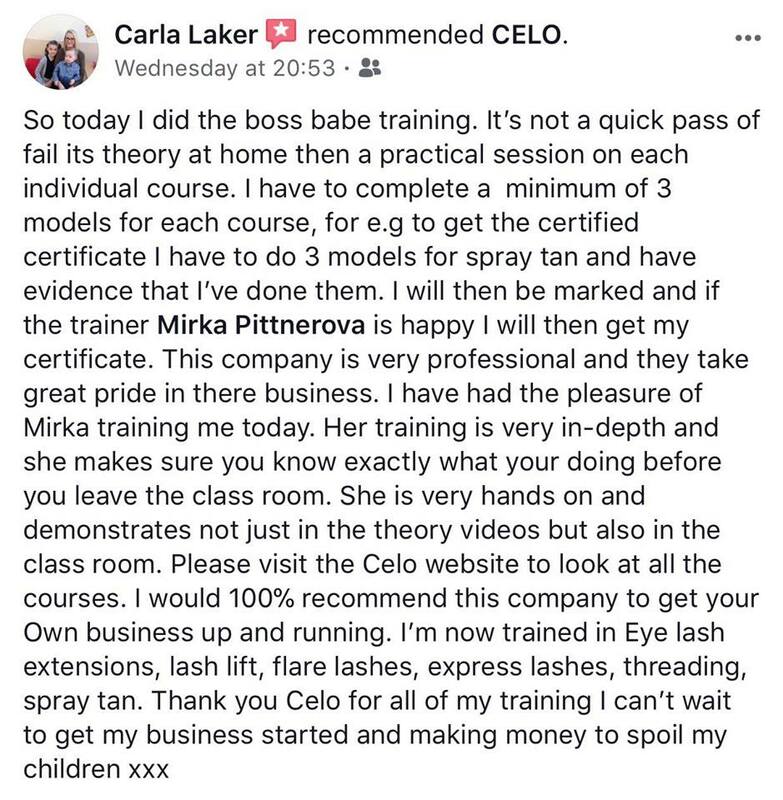 Studying online with one of our simple and easy to follow lash extension courses for personal insight or paying clients! Please remember the online course covers everything you need to know to do this amazing treatment BUT to offer to paying clients you must have insurance which is the purchasers responsibility! * How to safely & successfully apply individual eyelash extensions. Case studies will be required along with a short video of preparation we can also arrange for a Skype video call to help and assess your progress. We provide the option to attend one of our fun and friendly group face2face classes at an extra cost if you would like to become fully qualified to offer eyelash extensions to paying clients and to satisfy your insurance provider. Upon completion you will gain our certificate allowing you to purchase insurance to work from home or mobile with paying clients charging anywhere between £45-75 PLUS per treatment. Our courses are accredited by IICT and excepted in over 26 countries for insurance. Please remember if paying by installments the balance must be full repaid before any kit is sent. We teach from the age of 16 and this is a great step in to the world of beauty no previous experience required. Please check out our other online and classroom courses and stay in touch for special offers and discounts. Loved this course!! Very easy to understand!! And worded perfectly!! Now onto the practical part! Fingers crossed for me! !